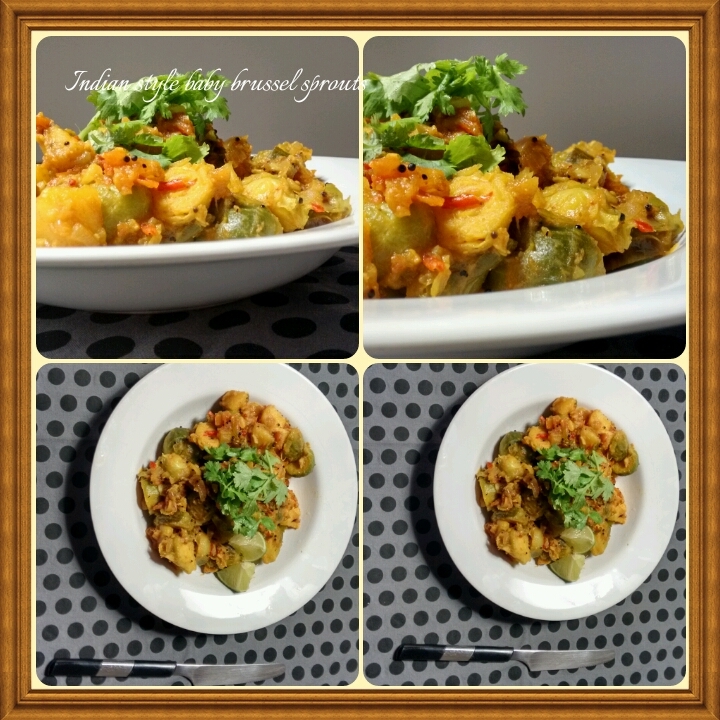 Brussel sprouts are definitely not an Indian thing but I always wanted to try it with Indian spices. So when I decided on experimenting something after a hectic summer trip, baby brussel sprouts looked like the best choice. I cooked them indian curry style and absolutely loved the taste. This whole recipe is just an experiment but turned out pretty good. No definite process and ingredients are required for this tasty meal as it is all about experimenting. I threw in everyning I had in the kitchen. However, there are a few important ingredients. For example, turmeric is essential to Indian cooking as it gives the food a nice colour and it has medicinal qualities too. But one can skip it if turmeric is not available.